Jakee : Jake is a Brown and White English Bull Dog. He is ... [more] Bulldog Brown Kildare €500 Bulldog in KildareAvailable for stud ! Mr.wow : Mr. WOW Blue & Tan ! Health tested CMR1,DM,HU... [more] Bulldog Blue (Kerry / Merle / Roan) Kilkenny €1000 Bulldog in KilkennyAvailable for stud ! Rocky : Proven Boxer stud dog. 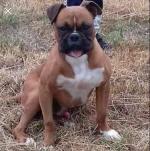 Fantastic looking dog with ... [more] Boxer Red Kilkenny €250 Boxer in KilkennyAvailable for stud ! Labrador : Proven labrador stud dog. Fantastic looking dog wi... [more] Labrador Cream Sligo €300 Labrador in SligoAvailable for stud ! 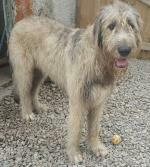 Irish wolfhound : ... [more] Irish Wolfhound Cream Cork €2000 Irish Wolfhound in CorkAvailable for stud ! Leeeo : Very friendly affectionate and intelligent dog wit... [more] Irish Wolfhound Black Carlow €250 Irish Wolfhound in CarlowAvailable for stud ! 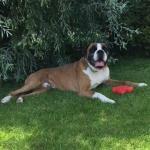 Buster boxer : Buster is a very loyal and playful dog. He is very... [more] Boxer Brown Galway €300 Boxer in GalwayAvailable for stud ! Rich fantasy (slaney) : Beautiful big friendly dog. 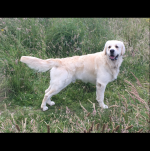 Has four litters so fa... [more] Golden Retriever Cream Monaghan €0 Golden Retriever in MonaghanAvailable for stud ! 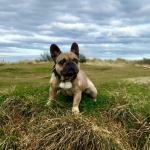 Milo french bulldog : Milo is a stunning Fawn male, from excellent blood... [more] Bulldog Brown Dublin €600 Bulldog in DublinAvailable for stud ! Shaggy : Shaggy, our Miniature Schnauzer, is a beautiful an... [more] Schnauzer Silver / Gray Kildare €350 Schnauzer in KildareAvailable for stud !